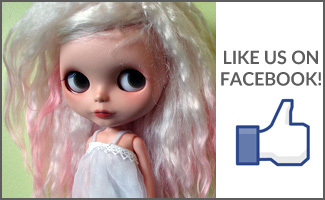 There comes a moment in time, just every so often, that I feel the need (or rather, want) of a new doll. It doesn’t necessarily have to be a brand new in box doll. No, I’m not that picky, but sometimes I just want a new doll just because it’s been a while since my last one. Let’s keep in mind that I got Maple Reed (Devi Delacour) last year in the preorder from Junie Moon, so it has not been that long since my last new doll. But as I go through the process of changing Lottie’s outfit, I can’t help but feel like I would like a new BL in my collection. I’m not even particularly picky (but I think Sunday Best, Aztec Arrival, or Rosie Red would be fantastic additions to the doll family). It’d just be nice to have a new doll in the family, and wouldn’t another BL just fit in wonderfully? 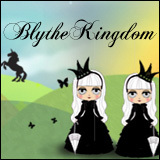 Then there’s also the fact that I have a custom doll in my dreams that I would love to make come true, and the fact that I’m supposed to be setting aside money for BlytheCon Brooklyn that makes me hesitate to pull the trigger on a new doll. After all, all the money spent on things like that (dolls) could be put towards things like seeing a show, or eating out, or just the trip in general (flights, accommodations). I’ve been doing my research and finding out very quickly that New York is a very expensive place to stay! I actually felt the New Doll Itch last year at around this time too. 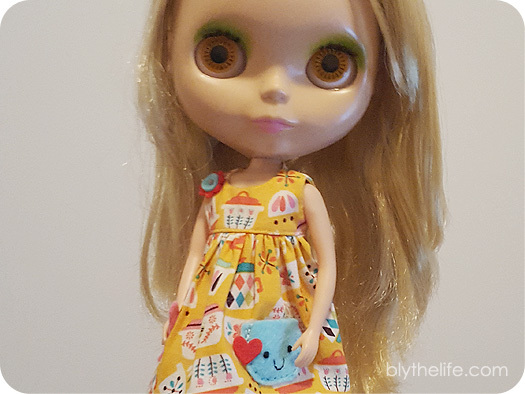 In 2016, I added 3 dolls to my family: Lottie (Mondrian BL), Chickadee (Intensive Care Petite), and Maple Reed (Devi Delacour RBL+). It comes in cycles, I feel. Get a new or new-to-me doll and the want and desire for a new doll goes away for just a little bit… Until it wears off and then I just want a new doll again. 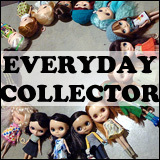 Because of the (expensive) trip I have planned, I might even try to make it a goal to not buy any new dolls this year. Just you watch though, I’m going to end up with a lot of dolly clothes and shoes incoming through the mail in lieu of buying new dolls! I get that itch to buy one when I am feeling particularly anxious. Given what is going on in the US, I am feeling particularly anxious.